Is Blogging Dead? Maybe Not! We know that blogging is critical to small business, yet we hear that blogging is dead. Well, maybe not. 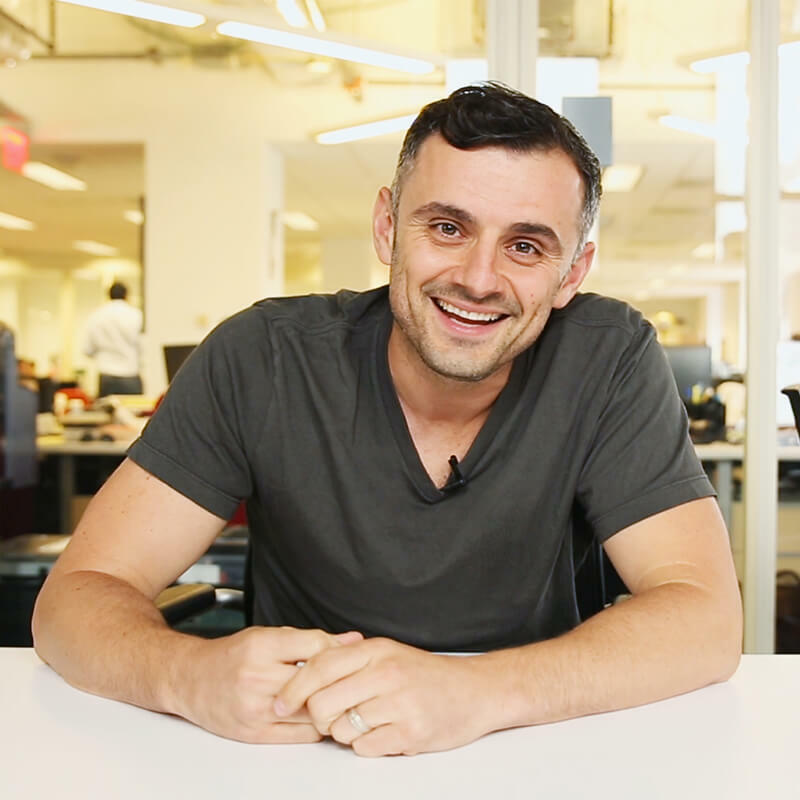 Here is a great post by Gary Vaynerchuk explaining why. Starting a blog has never been easier and here is where to start a blog: Snapchat, Twitter, Facebook, Medium. Now, I know what you’re saying — “Those aren’t blogs”. Actually, they are. Any social media platform can be treated like a blog because that is where people are listening. Currently, many “marketing gurus” will preach that blogging is dead, that it’s over, and that the personal blog has failed. I want to point out just how wrong they are. Blogging is now the establishment itself. Start a blog on any social media platform and engage your audience. Think about it: if you have a website and are putting out content on it, like I always talk about, you are blogging. Twitter was flat-out known as a micro-blogging platform and now we have new platforms like Medium that point very strongly to being a blogging platform. I would even argue that Instagram is a form of blogging in itself; A visual diary for your life. Or, Snapchat serving as a blogging platform built around the promise of content taking 10 seconds or less to consume. So no, blogging is not dead. It’s as alive as ever. Blogging has simply morphed and changed into a much broader category where blog creation, and the question to where you should be starting a blog, is very different. A stand alone independent website run on a wordpress blog or something similar isn’t required anymore. My advice would be to just start putting out native content on the platforms that make most sense for you and start engaging with those who you think should see it. But here is the problem and reason some internet marketers might say that blogging is dead: people who are still blogging in the traditional way, by posting to their personal website, don’t know how to get people to come see what they are writing. Nobody is working hard enough to master the art of SEO, or Facebook dark posts, or Pinterest, or storytelling on snapchat or anything else that can drive to your page. If you write a blog, social media needs to be the gateway drug to your content and site. Social networks, specifically Twitter, Facebook, and Pinterest, should be treated as the stepping stones of content to drive to the aforementioned “home,” whether that’s a blog or media site or whatever. What has happened is that the attention graph is shifting. I talk about the attention graph as essentially where people’s attention is right at this very moment; where can you meet them to direct them your page. People’s willingness to jump somewhere to consume content is certainly not down, but their willingness to leave the platform they are already engaging on (Facebook, Twitter) is. To get them to click, you have to be smart. Really smart. This is why every website today is testing headlines. You need to do the same. Don’t abandon the traditional blogging format; instead, test like crazy on social media and understand what drives your users, what your users care about. And make sure your content is really good once you get someone to click it or else consumers are going to be pretty upset they clicked at all and will hesitate to do so ever again. Personal blogs or websites offer something that social will never have: the very fact that you control it. That personal blog or website will be impervious to any changes on other platforms. Your blog or website is a platform that you control, allowing you to decide the amount and frequency of content output. In a world of “rented” social media space, that is valuable. I’ve seen people shout and scream about the death of blogging while on Twitter, a social blogging site which they’re posting content to every day. People need to reevaluate the context they use the word blog in, and understand the insane amount of blogging platforms that exist in today’s world. Each has their own value and may or may not speak to what you’re looking to accomplish. Find your value and go all in. Fill out the form on the right to recieve future emails and a free report. Can Blogs Really Generate Sales? Everyone says blogging is important to small business. But…does it really lead to increased sales? Here’s a great post digging into the strategies you need to do just that. Does Blogging Really Increase Lead Generation And Sales? Nowadays everyone has a blog. Forbes, Walmart, mommies with children and even hobbyists. Why? Because they make money. You may think that a blog is something you create for fun and has no place in a business environment but you would be wrong. Very wrong. Blogs today are being used to generate leads and increase sales, today I will show you how. Acquiring leads or increasing sales with a blog all starts with a content strategy. As with most things in business you need to come up with a plan to reach your goals, measure your progress and to continually adjust to optimize operations. A content strategy should be focused around your goal – be it to rank higher in Google, provide customers with information or generate leads and drive sales. All of the following goals are achieved by giving your readers value. Value in the form of information, entertainment, help or anything else that tickles their interest. A Blog is the medium through which you provide them with this value. Let’s say you run a health club and your biggest market is middle-aged moms who want to live a more healthy lifestyle. How can you generate leads via blogging to attract this clientele? Have any ideas? Well I have a few. Let’s solve a problem they have (by providing value). This can be in the form of diet advice, which foods to eat, what to avoid, how to better plan meals throughout the day or eat healthier as a family. Perhaps give away a free eBook, create videos on YouTube showing simple exercises they can do at home or recipe ideas for a healthier living. Whichever method you use it’s extremely important the content adds value. By showing them the way to reach their goals with solid advice and actions, positions your business as knowledgeable and trustworthy. If they trust and respect you – they will buy from you. So we threw out the bait (blog content) and they loved it, but how do we reel them in? There’s a number of ways. If you decide to give away a free information product (like an eBook), in exchange for the book you ask for the lead’s email address. Within actual blog posts you can place opt-in forms or have links to other parts of your site where you sell products. With these emails you can create email campaigns that nurture your lead into a customer. KISSmetrics allocated over 90% of their marketing budget on creating blog content. In a case study written by Neil Patel, the founder of KISSmetrics, he said for the month of January they spent $5,380 on content marketing with an average of two posts per day going live. Neil stated for January 2014 they generated a total of 5,057 leads via their blog. KISSmetrics’ total lead count for the month was 8,144, with 62% of all leads coming from blogging. How did they get that many leads? Well let’s take a look at their blog. They have placed various lead magnets all over their blogs offering readers free guides and information that solve their problems. KISSmetrics’ products start from $200 and go up into the thousands. At almost a $1 a lead that is money well spent don’t you think? How much are you willing to pay for a single lead? CONTENT MARKETING OR SOCIAL MEDIA? Social media marketing and content marketing are both extremely viable and practical options for gaining leads and sales that you would be crazy not to use both. Generally speaking, Facebook and Twitter ads will get you leads and sales in a much shorter time due to their advertising options, but they cost more. Content marketing takes time with some many businesses not seeing any kind of ROI for months. For the first year of their operation KISSmetrics didn’t make a single dollar using content marketing. But when the floods gate broke and the started to roll in – they kept on coming. Combining content marketing with SEO will rank you site higher on the search engines bringing you a steady flow of leads for each month. Using your social media accounts you can publicize your blog posts to followers and place social follow links within your blog to integrate both options. Are you happy with the results your blog is bringing your business or are you lacking a creative strategy? Maybe you’re looking to create valuable content but are not sure where to start or which mediums to use? Whichever problem you face we are the people to speak too. If you have any further questions about content marketing and how it can bring your business more leads and sales today, leave a comment or contact us today! If you’d like more information on small business growth, fill out the form in the right hand column to sign up for my emails.